We strive in setting new industry standards in concepts, substance and presentation, always staying true to our morals of customer care. It is our passion to innovate, educate, and lead by example! Here at Sunshine, we are at the heart of our community. It is our aim to run a successful business, offer employment and help benefit communities around us. We do this through various charitable work, supporting various schemes and running projects of our own. Through workshops and lectures, we try to educate our keen gardeners to promote a greener environment. This is a particular challenge in an inner city district, as space comes at a premium. We recognise that even businesses like ours, that appear outwardly to be green, have an impact on our environment. 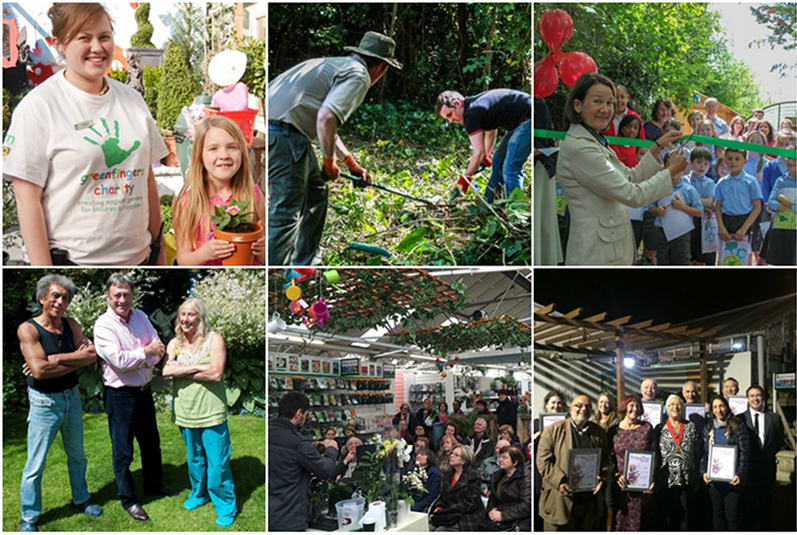 Sunshine Garden Centre has a social and moral responsibility in acting to limit our impact through good management of our resources to ensure that we identify, eliminate, reduce, re-use and recycle what we consume. We understand that by our actions and through our roles as educators to the general gardening community and by what we promote we can have a positive influence on environmental awareness in our community. We will address these issues with staff, suppliers, customers and the wider community. We continuously strive to source locally made product with the majority of our Plant stock being supplied by local growers and an increasing percentage of our Foodhall product being locally sourced as well. We remain conscious of the distance our products travel before reaching us, therefore actively reducing the our carbon footprint. We stock a variety of eco-friendly products in our Sundries departments, where staff are trained to educate the public on using products which reduce their impact on the environment. There is always room for improvement when it comes to recycling. We actively recycle cardboard, plastic, glass, metal and wood. With an increasing interest and awareness in Organically grown food and products, we will source organically grown produce and organic food ranges as our preferred choice. Support will be given to any supplier which promotes 'Organic' with ranges such as the 'Free Range' range of 9cm vegetables from a local supplier. We actively seek to minimise use of chemical pesticides in the Garden Centre, and this is done through an integrated pest management approach. By understanding the life cycles and habitats of the various pests that we encounter, we can target certain pest on certain crops at certain times of year and control them more effectively, this means that certain levels of pest are tolerable in certain crops up to a point. Beyond this point, cultural means of control are put in place. If cultural control measures don't work, we look at quarantine and finally a spray programme. The spraying programme is carried out with COSHH in mind ensuring that the best targeted and least broad spectrum sprays are used, limiting the affect on beneficial organisms. The time of day and weather conditions is also vital in applying water and chemicals thus preventing run-off. This policy is also carried out in relation to indoor chemical use such as polish, cleaners, etc. We encourage our customers to adopt a similar approach and recommend the use of biological control, where applicable. Conserving water is an important part of our business for both environmental and economical reasons. We concentrate mainly on hand watering in the majority of the Plant Area, where it is possible to channel the water directly into the pot and to avoid wastage due to drifting of water in windy conditions, with overhead irrigation. We also promote the use of grey water, where and when appropriate, as well as the use of rain water in areas such as our Houseplants department. Rainwater harvesting is still at it's infancy on site and we do have plans for the future to consider underground storage tanks and pumps to be used for toilet flushing and plant irrigation. • We are actively promoting the use of reduced peat/peat free by making it more prominent to our customer. Most of our compost range comes with a peat content indicator on the back of the bag and this is to demonstrate and educate the peat content of the product.